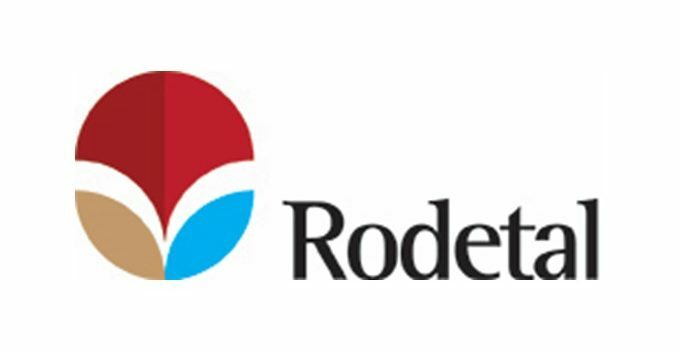 This is privacy notice of Rodetal Ltd. This privacy notice aims to give you information on how we collect and process your personal data through your use of this website, including any data you may provide through this website when you sign up to our newsletter or complete our online form. Legitimate Interestthis means the interest of our business in conducting and managing our business to enable us to give you the best service/product and the most secure experience. We make sure we consider and balance any potential impact on you (both positive and negative) and your rights before we process your personal data for our legitimate interests. We do not use your personal data for activities where our interests are overridden by the impact on you (unless we have your consent or are otherwise required or permitted to by law). You can obtain further information about how we assess our legitimate interests against any potential impact on you in respect of specific activities by contacting gdpr@rodetal.co.uk . Generally we do not rely on consent as a legal basis for processing your personal data other than in relation to sending third party direct marketing communications to you via email or text message. You have the right to withdraw consent to marketing at any time by contacting us gdpr@rodetal.co.uk . Note that we may process your personal data for more than one lawful ground depending on the specific purpose for which we are using your data. Please contact us at gdpr@rodetal.co.uk if you need details about the specific legal ground we are relying on to process your personal data where more than one ground has been set out in the table below. We will get your express opt-in consent before we share your personal data with any company outside the Rodetal Ltd group of companies for marketing purposes. You can ask us or third parties to stop sending you marketing messages at any time by following the opt-out links on any marketing message sent to you or by emailing gdpr@rodetal.co.uk at any time. Where you opt out of receiving these marketing messages, this will not apply to personal data provided to us as a result of a product/service purchase, or service experience or other transactions. We will only use your personal data for the purposes for which we collected it, unless we reasonably consider that we need to use it for another reason and that reason is compatible with the original purpose. If you wish to get an explanation as to how the processing for the new purpose is compatible with the original purpose, please contact gdpr@rodetal.co.uk. Providers G.W. Makesales, Barco, Mercantile, Brynec, Coventry Plumbing Supplies based in the UK who provide Big Boss (plumbing fitting) distribution. Professional advisers Walker Thompson Accountants acting as processors based in the UK who provide accounting services. Please contact us gdpr@rodetal.co.uk if you want further information on the specific mechanism used by us when transferring your personal data out of the EEA. By law we have to keep basic information about our customers (including contact, identity, financial and transaction data) for seven years after they cease being customers for [tax] purposes. From 25 may 2018 there will be changes in data protection laws. Please check back to these pages for updates.